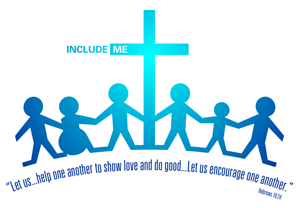 St. Maximilian Kolbe Parish - Liberty Twp, OH USA > Outreach > Include Me! If you have a loved one who struggles to celebrate Mass in a large space, St. Max is now offering a smaller venue for your family to attend Mass together. Mass will be simulcast live via audio/video in the Conference Room. An extraordinary minister of Holy Communion will come to the room with the Eucharist, or you can go in to the church to receive. This sensory-friendlier Mass is at Noon each week. It is also offered on occasional Holy Days of Obligation - please check the bulletin or email includeme@saint-max.org for dates and times.